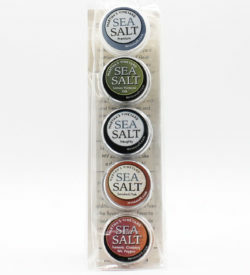 Using solar power and good old fashioned ingenuity, the founders of Martha’s Vineyard Sea Salt make their salt and then create blends like Lemon Dill, Local Smoked Oak and Naughty. Ali Berlow caught up with them at the West Tisbury Farmers’ Market. It was a surprise to discover that shiitake mushrooms are a good source of protein, good enough to replace beef even. And who ever thought of a mushroom as an animal? What’s So Great About Local Food ? Let’s Start with Food Security. Ali Berlow and Elspeth Hay have been taking stock about why local food is important to them. They’ve talked about local food through a lens of economics, seasonality and now, security . Claus is a 3 rd grader at the Chilmark School, and he was one of my lunch buddies. We sat together in the school’s makeshift cafeteria, in the community center next to the school. Fresh fish, pollock, was on the menu, and Claus wasn’t all that sure about it.